SARASOTA, FL – Miles Partnership today announced the application period for its scholarship program to the Southeast Tourism Society Marketing College®, available to tourism industry professionals working in one of the STS Member States (Alabama, Arkansas, Florida, Georgia, Kentucky, Louisiana, Mississippi, North Carolina, South Carolina, Tennessee, Virginia and West Virginia). This year, Miles will again award one scholarship in each of the 12 member states. The application period for the 2019 Miles Scholarship Program for STS Marketing College will be open from Monday, December 10, 2018 to Friday, February 1, 2019, at 5pm EST. Click here to submit an application. 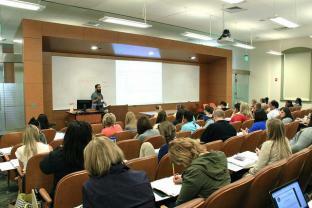 Marketing College® is an annual continuing education program taking place in a one-week session. During this week, students will participate in courses designed to teach marketing techniques from all facets of the tourism industry. Marketing College® professors are working, experienced professionals from across the U.S. who bring not only expertise, but real-world knowledge to the classroom. 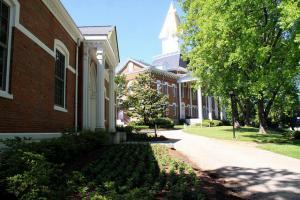 From May 12-17, 2019, courses will be held at the University of North Georgia campus in Dahlonega, GA.
From the time students arrive on Sunday evening until they depart on Friday, they enjoy classes, lectures, discussion groups and one-of-a-kind networking opportunities. Courses are designed for new and seasoned industry professionals and include a wide range of industry specific topics including market research, product development, economic impact, advocacy and branding. Students who complete all three years of Marketing College® (not necessarily in consecutive years, though STS does recommend it) will receive a Travel Marketing Professional (TMP) certification, presented at a special graduation ceremony at the STS annual meeting, STS Connections. The scholarship covers tuition, dorm room accommodations and most meals. Recipients will be chosen by a selection committee comprised of experienced tourism industry professionals. All applications are due on Friday, February 1, 2019, at 5pm EST, and recipients will be announced by Friday, February 15. Applications can be submitted here. For more information, please reach out to Lauren Fox. Miles Partnership markets destinations and hospitality businesses by working with state tourism offices, convention and visitors bureaus, hotels and other organizations in the tourism industry to create forward-thinking digital and print content marketing solutions. Founded in 1983, Southeast Tourism Society is dedicated to promoting and developing tourism to and within its 12 member states of Alabama, Arkansas, Florida, Georgia, Kentucky, Louisiana, Mississippi, North Carolina, South Carolina, Tennessee, Virginia and West Virginia.